I have a full page illustration in this season's Anorak magazine. If you don't know it, it's simply the most fabulous children's magazine, touted as 'The happy mag for kids', it really is so jolly happy, it's a quarterly and cheap as chips at £3.50 because it's packed full of stories, games and fun. 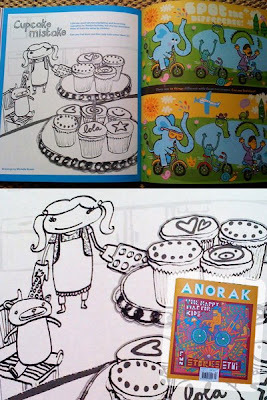 If you know a little person 4-7, you and they are missing out if you've not discovered Anorak. Follow them on Twitter, it will make you happy too. Very nice! I'm pleased you've finally mentioned your own considerable illustration talent on the blog. I will recommend Anorak to the three 4-7 year olds I know.